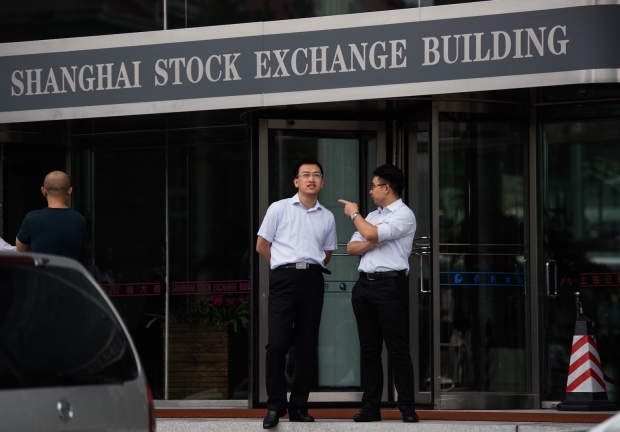 Two men talk in front of the entrance of the Shanghai Stock Exchange in the Lujiazui Financial district of Shanghai on September 22, 2015. By Tao Jingzhou, Beijing and Asian Managing Partner at the Beijing office of U.S. law firm Dechert LLP. This article was first published by Caixin. A series of investigations into apparent market violations emerged after the recent stock market turmoil, bringing down Zhang Yujun, an assistant chairman at the China Securities Regulatory Commission (CSRC); Cheng Boming, general manager of CITIC Securities; and four other senior CITIC executives. China’s stock market went on a roller coaster ride in the first half of the year, then tumbled after a bullish surge. Authorities have taken various measures to boost the market, shelving a promise to let it be more independent. However, some of those measures have done little to restore investor confidence. The performance of a stock market is mainly determined by the confidence of investors and their expectations for the future. The key to enhancing this confidence is to make sure the operations of the market comply with the law and are transparent and stable. This is why insider trading is seen as malicious behavior akin to robbery. Chinese stock regulators have long been criticized for their emphasis on prior approval for listings but a lack of later supervision. According to media reports, the CSRC handed out penalties for 59 cases of insider trading from 1993 to 2013. In the United States, where supervision is stricter, regulators investigate about 50 such cases annually. It usually takes several years for the CSRC to process a case of insider trading. For instance, a case that resulted in a conviction in July dates back to 2010. In contrast, the U.S. Securities and Exchange Commission is usually much swifter in its actions, completing a probe in only a few days. Punishment for insider trading is also light in China. A case in 2012 that was deemed very serious by the CSRC and that involved a defendant investing some 30 million yuan resulted in a suspended sentence and a fine of just 350,000 yuan. For these reasons, it is the time to take another look at the legal issues related to insider trading. First, since the practice hurts the public, the burden of proof should be on the accused traders as a way to better protect general investors. Suspects should have to provide evidence proving their innocence, instead of prosecutors and plaintiffs having to collect evidence against inside traders. Also, inside traders should be pursued. Both the leakers of information and the people who use it should be punished for the losses they cause. Next, law enforcement and judicial officials should establish a system for rewarding people who report instances of wrongdoing. Under the U.S. Dodd-Frank Act, whistleblowers can get 10 to 30 percent of the money collected from cases involving more than U.S.$1 million. Finally, China should introduce a class-action mechanism in securities litigation to improve judicial efficiency and empower the public. From 2007 to 2013, only four civil lawsuits were filed against insider traders and none of the plaintiffs won any compensation. The recent bourse volatility and the ensuing inquiries indicate that insider trading is a major obstacle hindering the healthy development of China’s stock market, but volatility should not hinder reforms. A good next step would be abolishing the listings approval system, which creates room for violations such as insider trading.